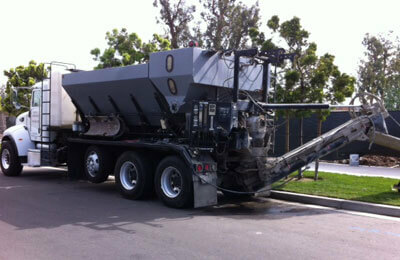 Mobile Concrete provides high-quality, custom mixed concrete to contractors throughout Los Angeles and Orange County. Over the last 10 years, we have delivered short loads of concrete at a moment's notice for thousands of commercial jobs, including plumbing ditch pourbacks, house pads, foundations, footings, block walls, room additions, patios, driveways, sidewalk repairs, and more. We also provide grout for block walls and slurry for bag fills. With Mobile Concrete, you only pay for the concrete you use, benefit from a longer standby time, and can have your concrete customized on site to meet the specific or changing needs of your job. Call now; we're available 24 hours a day, 7 days a week, and always ready to dispatch our trucks in response to urgent requests. Instead of a barrel truck that delivers ready mixed concrete that was made at a facility, Mobile Concrete uses volumetric concrete mixing trucks, also known as "short load trucks." With a short load truck, we are able to mix your custom concrete at your jobsite and change the mix designs of your concrete instantly. We can adjust the water content for colder and hotter times of the day as well as alter the concentration of sand and rock when you want to change the compressive strength (psi). Because all of our concrete is freshly mixed, it cures correctly; you don't have to worry about hot loads or that it will suddenly go off on you. As a result, we offer a standby time that is significantly longer than most ready mixed concrete providers: 15 minutes per yard rather than the standard 2-3 minutes. Additionally, our specialty short load trucks make it extremely cost-effective to deliver the exact quantity of concrete that you need--from as little as a wheelbarrow up to 8 cubic yards. Mobile Concrete is a fully insured, licensed, and locally owned concrete delivery contractor that is an approved vendor for most Los Angeles and Orange County cities. We have our own batch plant where we store our powder, rock, and sand, which means that we always have access to our materials and can respond immediately to last-minute requests. 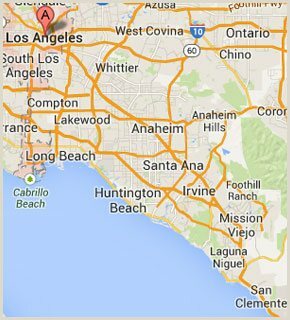 Our courteous drivers are all certified, insured, and approved by California Highway Patrol. Additionally, the Highway Patrol inspects and certifies all of our trucks. Our trucks are small enough to fit inside a warehouse or drive anywhere a trash truck can go. Its shoot reaches up to 15 feet. For longer distances, we offer a very affordable pumping service or can work with your pumper. Whether you have a small concrete job or have run short on concrete for a larger job, call for a free concrete delivery estimate.